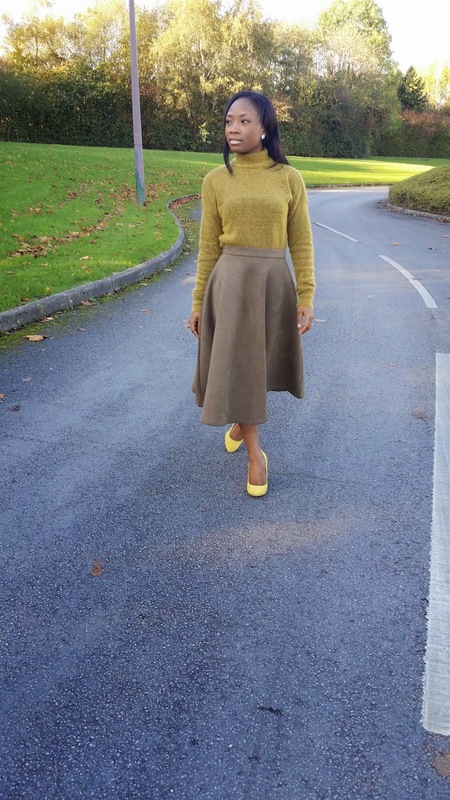 Happy Wednesday everyone. 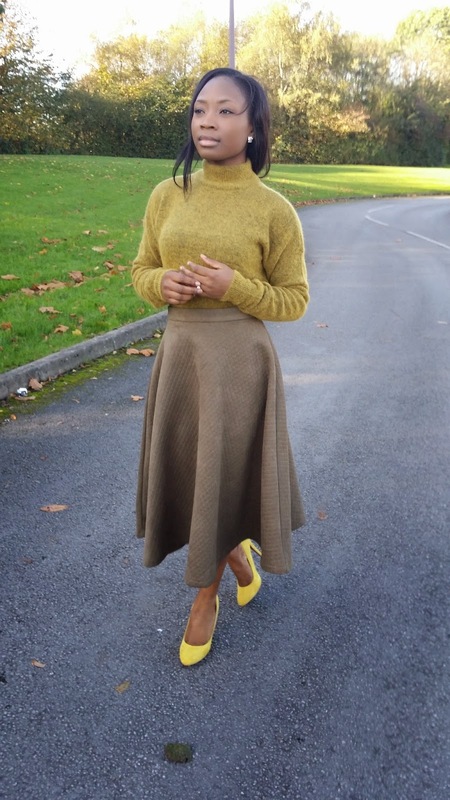 As unbearable the cold weather might get sometimes, I must honestly say that I love the autumn/winter pieces for its colours and warmness. 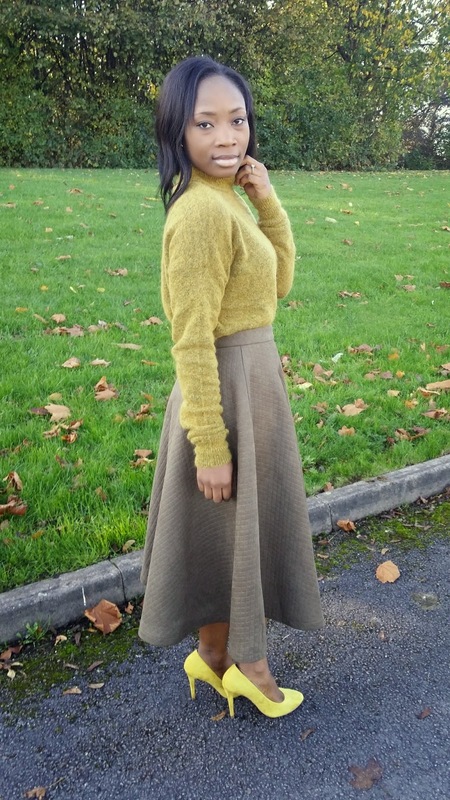 You know the warm and snug feeling you get when you are all wrapped up at home in your blanket is honestly what I was feeling in this H&M Jumper and It's blend of mustard/khaki colour is absolutely beautiful and what attracted me to it. 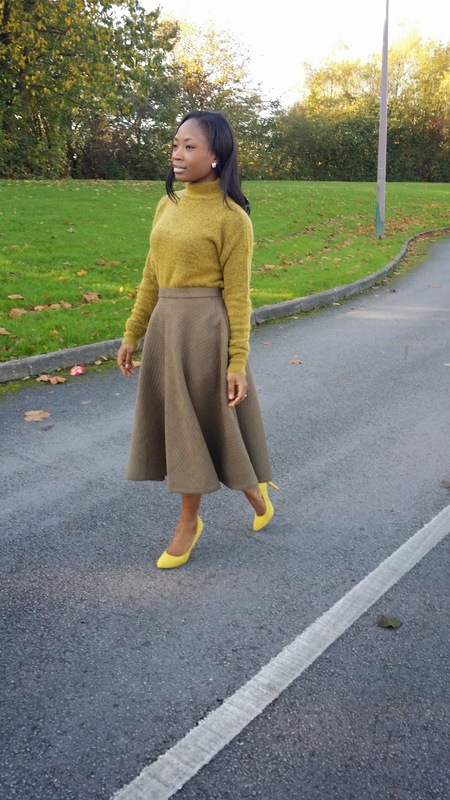 I love full midi skirts especially for the autumn/winter season, I love the length of a midi skirt as it's not too long or short, it's just perfect. 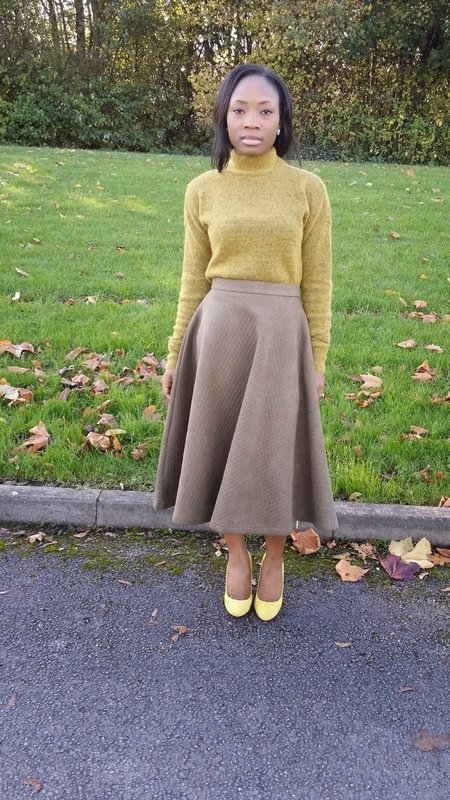 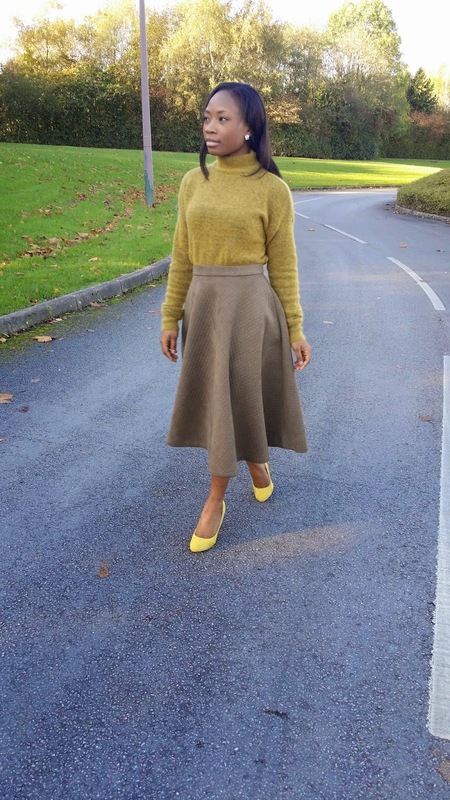 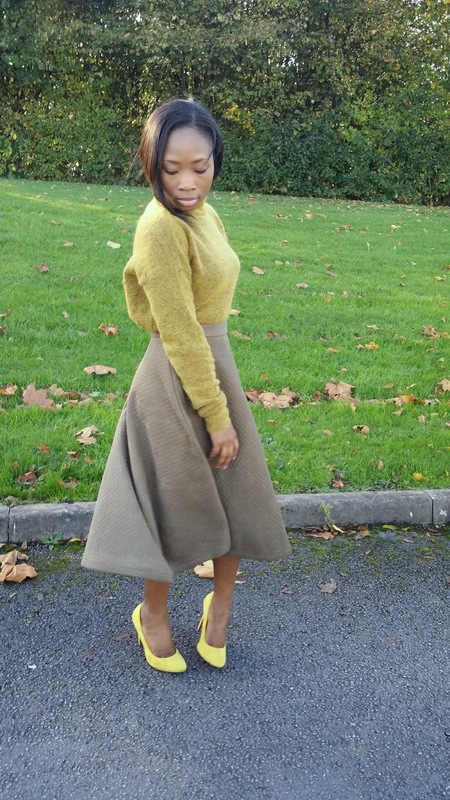 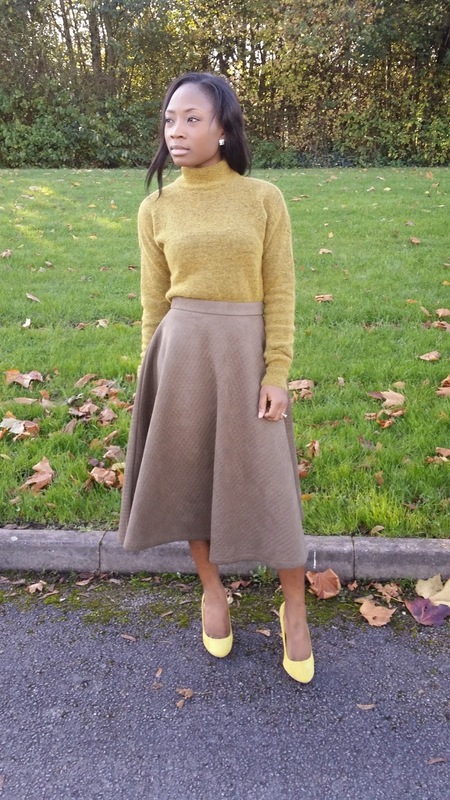 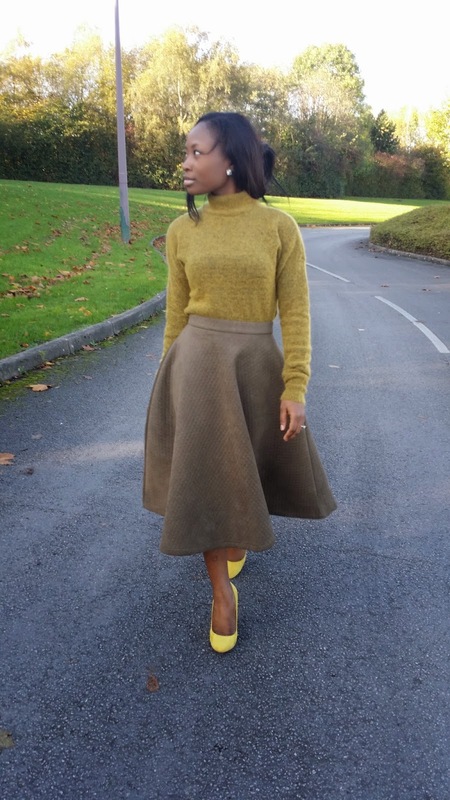 I think a full midi skirt gives the perfect lady-like look so it's no doubt that I had to add this gorgeous olive midi skirt to my collection- great quality and super thick making it perfect for the cold weather. 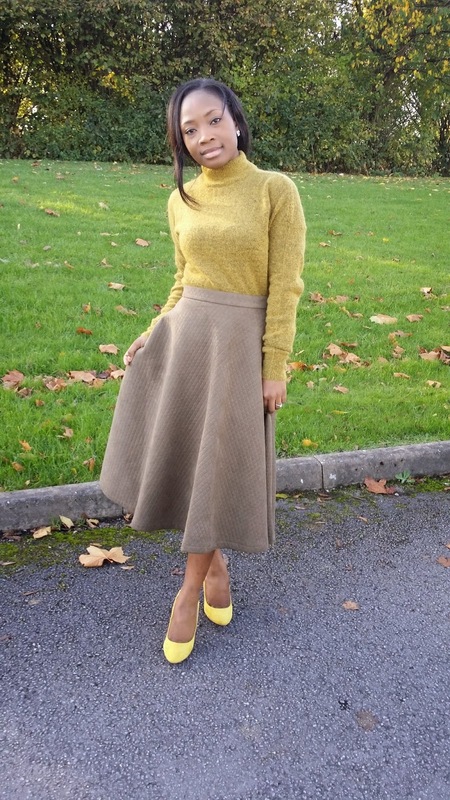 So to complete the outfit, I went with a yellow mustard heels to compliment the whole look.